Stylish bath accessories by Artos add comfort, class, and a modern feel to any home’s bathroom. Artos bathroom collections offer a complete look and feel for your modern bath, including faucets and shower systems, towel warmers, and a complete range of bath accessories. 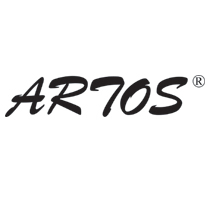 An Artos faucet or Artos shower system offers aesthetically pleasing designs with elegant functionality, featuring body jets, hand shower kits, and wall-mounted shower rainheads. Artos towel warmers, made for both electronic and hydronic heating systems, are available in multiple widths and heights in order to accommodate the size of any master bathroom. Whether it’s an elegant new Artos rain shower head or the perfect soap dispenser, Artos bath accessories will make your bath experience unforgettable.